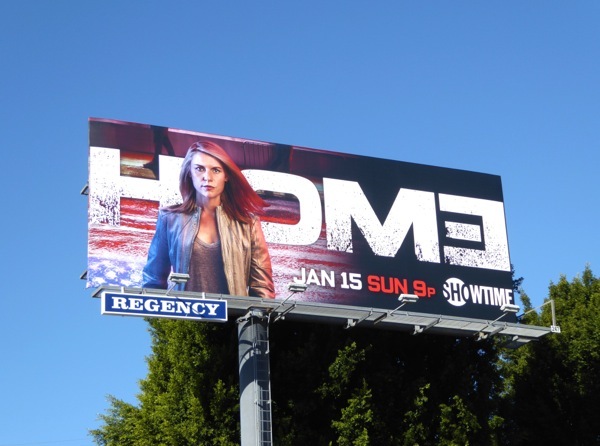 After jetting around the globe to Pakistan and Germany, Homeland's sixth season finds Claire Danes 'Carrie Mathison' trying to live a normal life back in New York with her daughter 'Franny', her furrowed brow and signature cross-body bag. Let's see how long that lasts. Ever tying into current politics and world events, this season will focus on the time between Election Day and Inauguration Day and the change of power in the U.S. presidency. 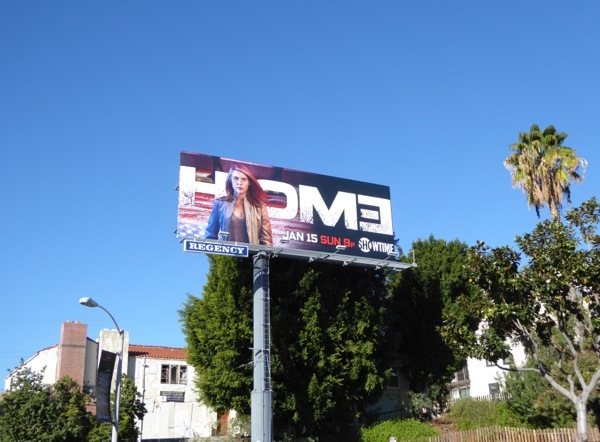 But will the terror this season be foreign or home grown? It looks like everyone's favorite bipolar disillusioned former CIA agent has started a law firm to help Muslims targeted as terrorists simply because of their religious beliefs, sound spookily familiar to what's happening in the world today? 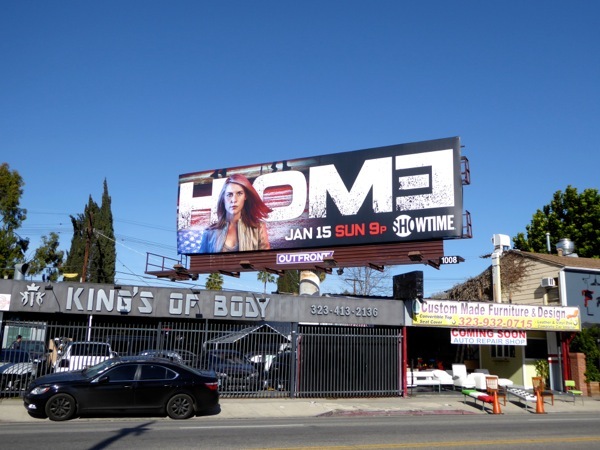 These season six billboards were snapped along the Sunset Strip and Melrose Avenue from December 20 to December 27, 2016. 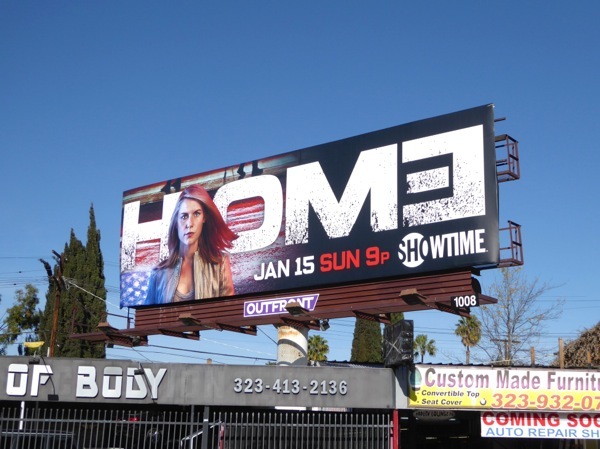 Fans of the show can also enjoy these previous season promo billboards for Homeland from 2011 to date. 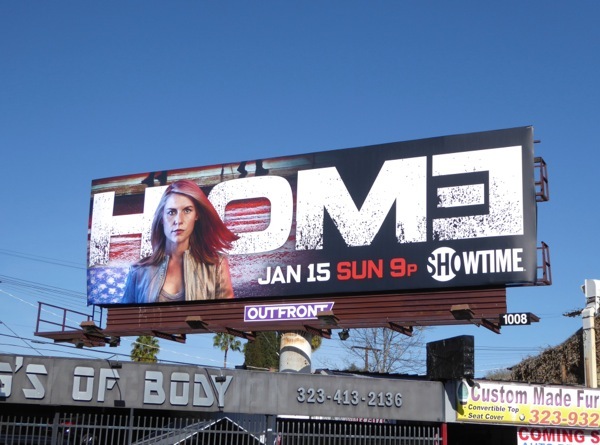 Presidents distrusting the CIA, ethnic profiling and domestic terrorism, Homeland's season six plots could be ripped from today's headlines. Looks like it won't be long before Carrie goes off her meds with all this to handle. Stay strong lady, stay strong.